Is 'Flash' Star Grant Gustin Teasing New Costume for Barry? Is ‘Flash’ Star Grant Gustin Teasing a New Costume for Barry? 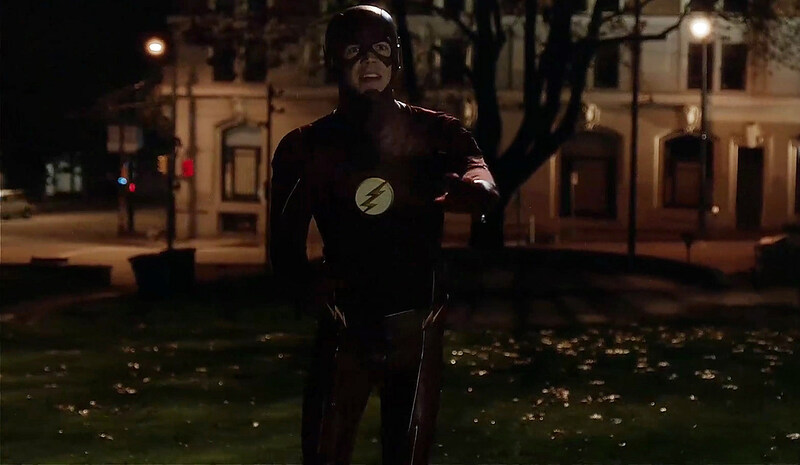 Flash fans are long-used to The CW’s take on the Scarlet Speedster’s duds, which themselves have been subject to minor tweaks through Seasons 2 and 3. Grant Gustin is certainly ready for the CW series to upgrade Barry Allen, but what timey-wimey troubles might prevent The Flash from altering its title hero’s look? And surely fans would welcome the chance to “ooh” and awe over a new costume, but here’s where things get a little tricky. Apart from production tweaks to the The Flash suit over time, the only significant change to be noted onscreen in three seasons is that of the white logo, which itself was inspired by a glimpse of 2024 Barry’s costume. 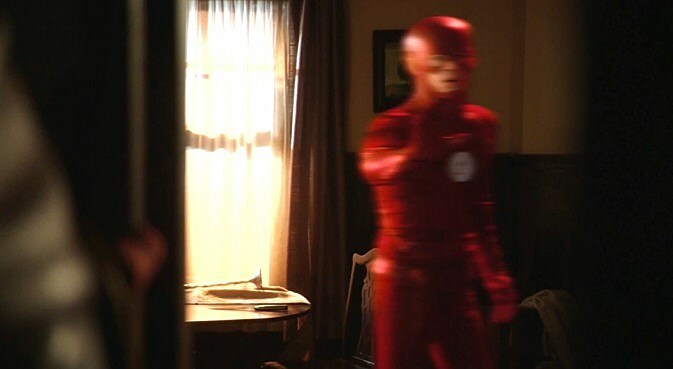 That costume – apart from a blurred view – mirrored the design Barry has worn since the series’ beginning, albeit with a significantly redder hue. That said, The Flash has explained time and time again that futures are not explicitly set in stone, and the current Season 3 conundrum even links back to a change in that 2024 newspaper. Why then, could The Flash not throw history to the wind, and grant Gustin’s wish for a new suit? Well, that same newspaper changed to reflect that “Iris West-Allen” would no longer write the story on Flash’s disappearance, as midseason finale “The Present” revealed her death at the hands of Savitar five months from now (conveniently right around season finale time). And what was Barry wearing in that brief glimpse of the future? Why, that same costume we’ve seen The Flash sporting for two seasons. Suffice to say, unless The Flash intends to spotlight a minor cosmetic change to a scene likely forming the linchpin of its Season 3 endgame, Barry will be keeping the same look through May 2017. There’s every chance of Grant Gustin rocking a new suit in the closing scenes, or even a likely Season 4, but for now, the actor’s tweet appears to be wishful thinking. In the meantime, stay tuned for more on The Flash’s 2017 return as it develops. Source: Is ‘Flash’ Star Grant Gustin Teasing a New Costume for Barry?